Every production phase or civilization or other human invention goes through a so called transformation process. Transitions are social transformation processes that cover at least one generation. In this article I will use one such transition to demonstrate that humanity is at a crossroads: up to a third world war or will humanity create new heaven on earth. The Neolithic transition was the most transition for mankind. This first agricultural revolution (10000 – 3000 BC) forms the change from societies of hunter gatherers (20 – 50 people) close to water with a nomadic existence to a society of people living in settlements growing crops and animals. A hierarchical society came into existence. Joint organizations protected and governed the interests of the individual. Performing (obligatory) services for the community could be viewed as a first type of taxation. Stocks were set up with stock management, trade emerged, inequality and theft. Ways of administering justice were invented to solve conflicts within and between communities and war became a way of protecting interests. The Neolithic revolution started in those places that were most favorable because of the climate and sources of food. In very cold, very hot or dry areas the hunter gatherer societies lasted longer. Several areas are pointed out as possible starting points: southern Anatolia, the basins the Yangtze Kiang and Yellow river in China, the valley of the Indus, the present Peru in the Andes or what is now Mexico in Central America. From these areas the revolution spread across the world. The start of the Neolithic era and the spreading process are different in each area. In some areas the changes are relatively quick and some authors therefore like to speak of a Neolithic revolution. Modern historians prefer to speak of the Neolithic evolution. They have come to realize that in many areas the process took much longer and was much more gradual than they originally thought. When we look back over the past two centuries, we see three transitions taking place with far-reaching effects. All those people needed clothing. Thanks to the machine faster and cheaper production was possible and labor remained cheap. The textile industry has been one of the driving forces of the industrial revolution. Belgium becomes the first industrialized country in continental Europe. Belgium is “in a state of industrial revolution” under the rule of Napoleon Bonaparte. The industrial centers were Ghent (cotton and flax industries), Verviers (mechanized wool production), Liège (iron, coal, zinc, machinery and glass), Mons and Charleroi. On the mainland, France and Prussia followed somewhat later. In America the northeastern states of the United States followed quickly. After 1870 Japan was industrialized as the first non-Western country. The rest of Europe followed only around 1880. The United States (U.S.) and Germany led the way in the Second Industrial Revolution. In the U.S. there were early experiments with the assembly line system, especially in the automotive industry. In addition, the country was a leader in the production of steel and oil. In Germany the electricity industry and the chemical industry flourished. The firms AEG and Siemens were electricity giants. German chemical companies such as AGFA and BASF had a leading share in the production of synthetic dyes, photographic and plastic products (around 1900 they controlled some 90% of the worldwide market). In the wake of these two industrial powers (which soon surpassed Britain) France, Japan and Russia followed. After the Second Industrial Revolution ​​more and more countries, on more continents, experienced a more or less modest industrial development. In some cases, the industrialization was taken in hand by the state, often with coarse coercion – such as the five-year plans in the Soviet Union. From 1970 the third industrial revolution continued to Europe. The third industrial revolution was mainly a result of a massive development of microelectronics: electronic calculators, digital watches and counters, the compact disc, the barcode etc. 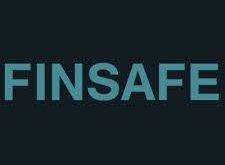 many areas: for calculation, word processing, drawing and graphic design, regulating and controlling machines, simulating processes, capturing and processing information, monetary transactions and telecommunications. The communication phase grows enormously at the beginning of the new millennium: the digital revolution. According to many analysts now a new era has emerged: that of the information or service economy. Here the acquisition and channeling of information has become more important than pure production. By now computer and communication technology take up an irreplaceable role in all parts of the world. More countries depend on the service sector and less on agriculture and industry. In the development and take-off phases of the industrial revolution many new companies emerged. All these companies went through more or less the same cycle simulataneously. During the second industrial revolution these new companies emerged in the steel, oil, automotive and electrical industries, and during the third industrial revolution the new companies emerged in the hardware, software, consulting and communications industries. 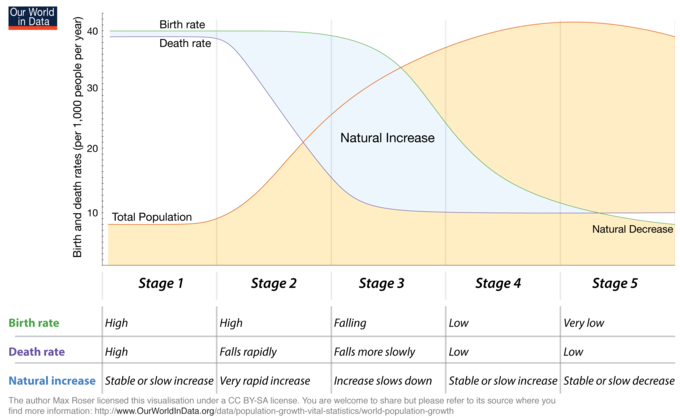 During the acceleration phase of a new industrial revolution many of these businesses tend to be in the acceleration phase of their life cycle, more or less in parallel. 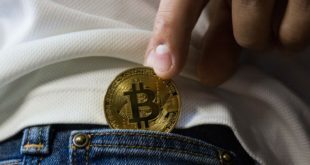 There is an enormous increase in expected value of the shares of companies in the acceleration phase of their existence. This is the reason why shares become very expensive in the acceleration phase of a revolution. 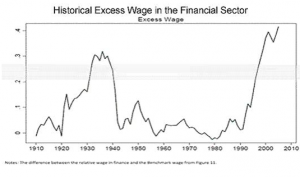 There was also an enormous increase in price-earnings ratio of shares between 1920 – 1930, the acceleration phase of the second revolution, and between 1990 – 2000, the acceleration phase of the third revolution. The increase in the price-earnings ratio is amplified because many companies decide to split their shares during the acceleration phase of their existence. A stock split is required if the market value of a share has grown too large, rendering the marketability insufficient. A split increases the value of the shares because there are more potential investors when they are cheaper. Between 1920 – 1930 and 1990 – 2000 there have been huge amount of stock splits that impacted the price-earnings ratio positively. 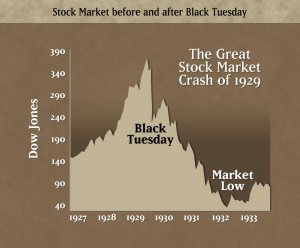 On December 31, 1927, two years before the stock market crash in October 1929, for the first time a number of companies split their shares. With each change in the composition of the Dow Jones and with each share split, the formula to calculate the Dow Jones is adjusted. This happens because the index, the outcome of the two formulas of the two baskets, must stay the same at the moment of change, because there can not be a gap in the graph. At first a weighted average was calculated for the shares that were split on December 31, 1927. 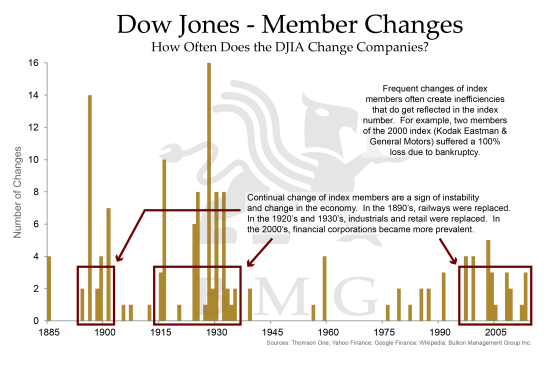 The extreme rise in the Dow Jones in the period 1920 – 1929 and especially between 1927 – 1929, was primarily caused because the expected value of the shares of companies that are in the acceleration phase of their existence, was increasing enormously. 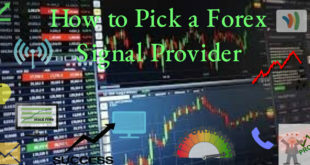 The value of the shares is strengthened further by stock splits and as icing on the cake this value of the shares was enlarged again in the Dow Jones Index, because behind the scenes the formula of the Dow Jones was adjusted due to stock splits. During the acceleration phase of the third industrial revolution, 1990 – 2000, history has repeated itself. In this period there have again been many stock splits, particularly in the years 1997 and 1999. On December 31, 1999 on an increase of the 30 stocks again nearly three times as many index points, the same value increase on January 1, 1990. What does a stock exchange index like DJIA, S&P 500 or AEX mean? 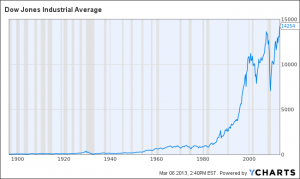 The Dow Jones Industrial Average (DJIA) Index is the oldest stock index in the United States. This was a straight average of the rates of twelve shares. A select group of journalists from The Wall Street Journal decide which companies are part of the most influential index in the world market. Unlike most other indices the Dow is a price-weighted index. This means that stocks with high absolute share price have a significant impact on the movement of the index. 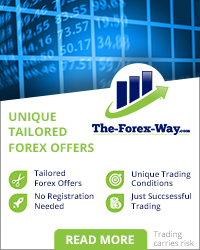 The Amsterdam Exchange index (AEX) is the main Dutch stock market index. The index displays the image of the price development of the 25 most traded shares on the Amsterdam stock exchange. 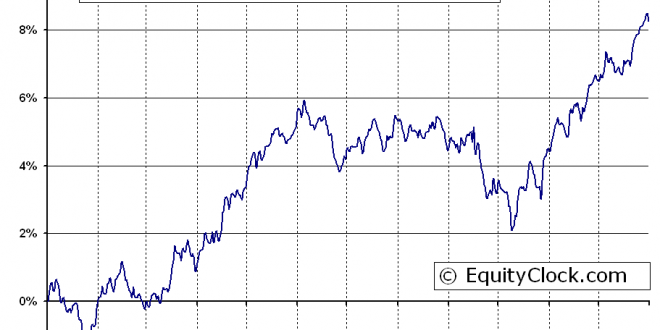 From a weighted average of the prices of these shares, the position of the AEX is calculated. An index is calculated on the basis of a set of shares. Every index has its own formula and the formula gives the number of points of the index. Unfortunately many people attach a lot of value to these graphs which are, however, very deceptive. After a period of 25 years the value of the original set of apples is compared to the value of a set of pears. At the moment only 6 of the original 30 companies that made up the set of shares of the Dow Jones at the start of the acceleration of the last revolution (in 1979) are still present. In the nineties of the last century many shares were split. To make sure the result of the calculation remained the same both the number of shares and the divider changed (which I think is wrong). An increase in share value of 1 dollar of the set of shares in 2017 results is 7.6 times more points than in 1985. The fact that in the 1990’s many shares were split is probably the cause of the exponential growth of the Dow Jones index. At the moment the Dow is at 21000 points. If we used the 1985 formula it would be at 2747 points. The most remarkable characteristic is of course the constantly changing set of shares. Generally speaking, the companies that are removed from the set are in a stabilization or degeneration phase. 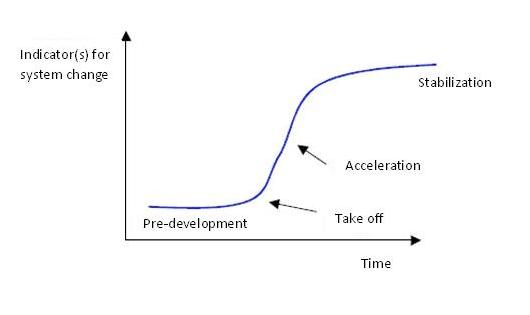 Companies in a take-off phase or acceleration phase are added to the set. This greatly increases the chance that the index will rise rather than go down. This is obvious, especially when this is done during the acceleration phase of a transition. 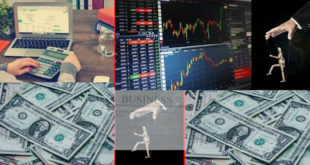 From 1980 onwards 7 ICT companies (3M, AT&T, Cisco, HP, IBM, Intel, Microsoft) , the engines of the latest revolution, were added to the Dow Jones and 5 financial institutions, which always play an important role in every transition. This is actually a kind of pyramid scheme. 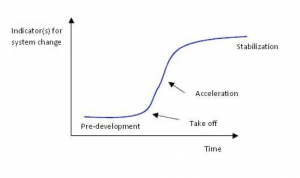 All goes well as long as companies are added that are in their take-off phase or acceleration phase. At the end of a transition, however, there will be fewer companies in those phases. 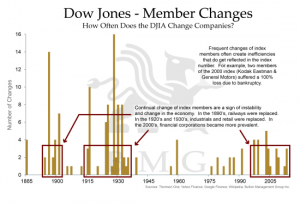 The last 18 years were 21 companies replaced in the Dow Jones, a percentage of 70%. September 23, 2013: Hewlett-Packard Co., Bank of America Inc. and Alcoa Inc. replaced Goldman Sachs Group Inc., Nike Inc. and Visa Inc.
Alcoa has dropped from $40 in 2007 to $8.08. Hewlett- Packard Co. has dropped from $50 in 2010 to $22.36. Bank of America has dropped from $50 in 2007 to $14.48. HP is trading at an approximate price of $22, BoA at $14 and Alcoa at $8 (sum total of $44). These shares will be replaced by Goldman Sachs at $164, Nike at $67 and Visa at $184 (sum total of $415) which is 9.4 times more. This means that the new sum of the 30 stocks have a value of $2,349 (1978 – 44 + 415) and, therefore we expect that the Dow Divisor will be adjusted from 0.130216081 to 0.154631 to get back to the original 15,191 index points (15,191 x 0.154631 = $2,349). Given the above, had the three old shares increased by 10% each in price in the past the Dow 30 would have increased by 33.8 points in total (10% x 44 divided by 0.130216081 = 33.79 points) assuming there was no change in the price of the other 27 stocks. As of September 23rd, however, a corresponding 10% increase in the price of each of the new shares would contribute 268.4 points to the rise of the Dow 30 (10% x 415 divided by 0.154631 = 268.38) or 7.94 times more points. The influence of the 3 losers was: $44 of $1,978. This is 2.2% of the Dow Jones Index. The influence of the 3 winners becomes: $415 of $2,349. This is 17.67% of the Dow Jones Index. September 20, 2012: UnitedHealth Group Inc. (UNH) replaces Kraft Foods Inc.
June 8, 2009: Cisco and Travelers replaced Citigroup and General Motors. Citigroup and General Motors have received billions of dollars of U.S. government money to survive and were not representative of the Dow. September 22, 2008: Kraft Foods Inc. replaced American International Group. American International Group was replaced after the decision of the government to take a 79.9% stake in the insurance giant. AIG was narrowly saved from destruction by an emergency loan from the Fed. February 19, 2008: Bank of America Corp. and Chevron Corp. replaced Altria Group Inc. and Honeywell International. April 8, 2004: Verizon Communications Inc., American International Group Inc. and Pfizer Inc. replace AT & T Corp., Eastman Kodak Co. and International Paper. November 1, 1999: Microsoft Corporation, Intel Corporation, SBC Communications and Home Depot Incorporated replaced Chevron Corporation, Goodyear Tire & Rubber Company, Union Carbide Corporation and Sears Roebuck. March 17, 1997: Travelers Group, Hewlett-Packard Company, Johnson & Johnson and Wal-Mart Stores Incorporated replaced Westinghouse Electric Corporation, Texaco Incorporated, Bethlehem Steel Corporation and Woolworth Corporation. Figure: Exchange rates of Dow Jones during the latest two industrial revolutions. 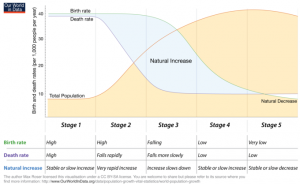 During the last few years the rate increases have accelerated enormously. 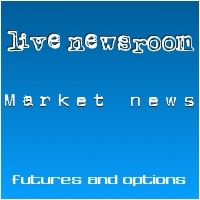 Central banks hold out stock exchanges? Calculating share indexes as described above and showing indexes in historical graphs is a useful way to show which phase the industrial revolution is in. During the pre development phase and the take-off phase of a transition many new companies spring into existence. This is a diverging process. Especially financial institutions play an important role here as these phases require a lot of money. 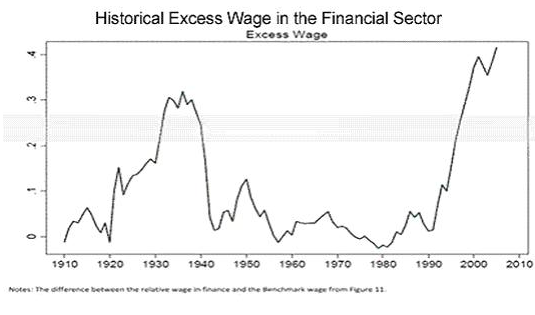 The graphs showing the wages paid in the financial sector therefore shows the same S curve as both revolutions. New industrial revolutions come about because of new ideas, inventions and discoveries, so new knowledge and insight. Here too we have reached a point of saturation. There will be fewer companies in the take off or acceleration phase to replace the companies in the index shares sets that have reached the stabilization or degeneration phase. In a (threatening) recession, the central bank tries to stimulate the economy by lowering interest rates. Loans are thus cheaper, allowing citizens and businesses to spend more. In the event of sharply rising unemployment and falling prices, however, this does significantly less. This is also the case as the official interest rates are lower, or even fall to essentially zero. Regardless of the interest rate (big) loans are not concluded and expensive purchases will be delayed. Further rate cuts or even an interest rate of zero may not lead to an increase in economic activity and falling demand leads to further price declines (deflation). 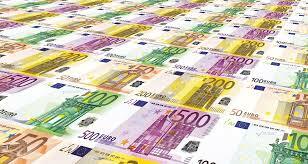 The central bank may decide in that case to increase the money supply (quantitative easing). 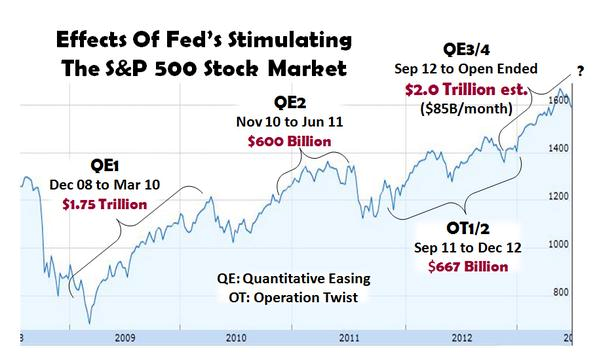 A larger money supply actually leads to price increases and disruption of the deflationary spiral. 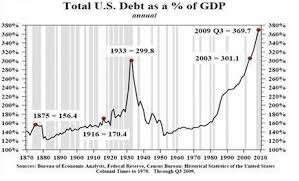 In the past the printing presses would be turned on but nowadays the central bank buys government bonds, mortgage bonds and other securities and finances these transactions by increasing the personal balance. There are no extra physical bank notes printed. The mechanism works by means of central banks buying bonds in the market or directly from banks. 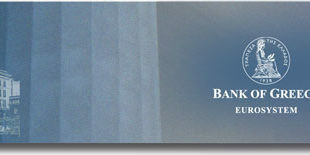 Banks are credited for the purchase amount in the accounts held with the central bank. In this way, banks obtain liquidity. In response to this liquidity banks can then provide new loans. 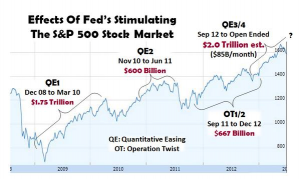 Due to the combination of interest rate policy and quantitative easing by central banks a lot of money has flowed the stock markets since 2008 and has in fact created a new, fictional bull market. This is evident in the price-earnings ratio chart (Shiller PE Ratio), which has risen again since 2008. But central banks now have no more ammunition to break the deflationary spiral. 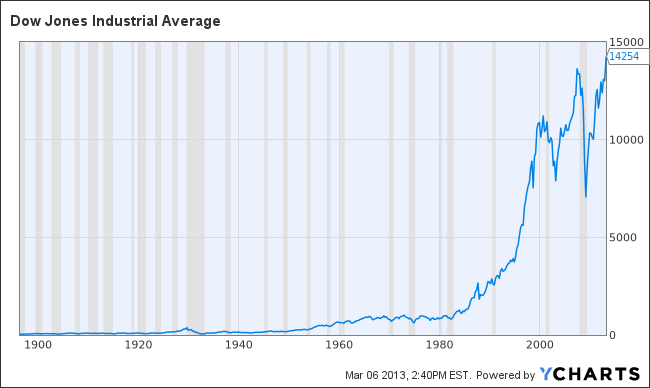 At the end of the 2nd industrial revolution in 1932 the PE Ratio dropped to 5. Currently, this ratio, partly due to the behavior of central banks, is 23. Transitions are initiated by inventions and discoveries, new knowledge of mankind. 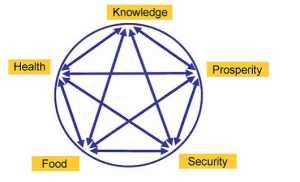 New knowledge influences the other four components in a society. At the moment there are few new inventions or discoveries. So the chance of a new industrial revolution is not very high. History has shown that five pillars are indispensable for a stable society. 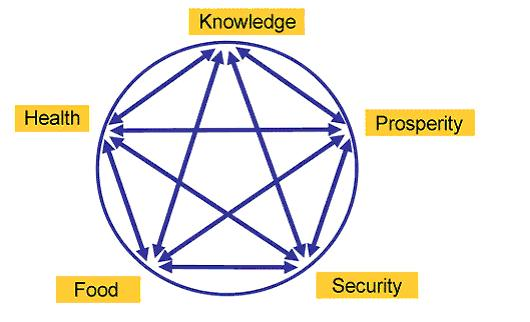 Figure: The five pillars for a stable society: Food, Security, Health, Prosperity, Knowledge. At the end of every transition the pillar Prosperity is threatened. We have seen this effect after every industrial revolution. The pillar Prosperity of a society is about to fall again. History has shown that the fall of the pillar Prosperity always results in a revolution. Because of the high level of unemployment after the second industrial revolution many societies initiated a new transition, the creation of a war economy. This type of economy flourished especially in the period 1940 – 1945. Previous How to create my own Virtual Bank?